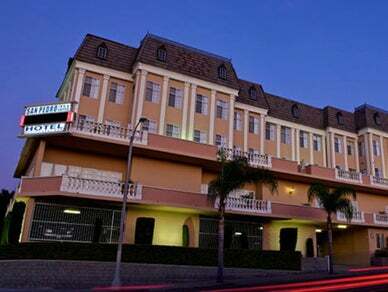 The San Pedro Inn and Suites Hotel, Nestled in San Pedro, this Victorian Style Hotel it captures the flavor of a unique, romantic European hotel. The San Pedro Inn and Suites, has today's convenience and yesterday's charm. Hotel features spacious guestrooms with panoramic views of Los Angeles Harbor and Vincent Thomas Bridge, Outdoor Pool & Jacuzzi, Includes Complimentary Continental Breakfast, Complimentary Wi-Fi and Business Center, Complimentary Guest Indoor Parking and minutes from World Cruise Center, Cabrillo Beach & Marine Aquarium and Catalina Island Cruise Terminal.